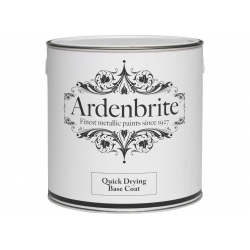 The Ardenbrite range at Rawlins Paints contains high quality and quick drying liquid metal paints that dry to leave a rich sheen finish. This classically decorative coating is most popular as gold paint, which can be found here. Available in a range of traditional metallic colours, Ardenbrite paints are suitable to be used on both internal and external surfaces. 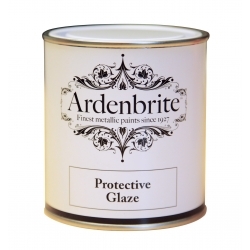 The Ardenbrite brand was established in 1927, and they continue to grow in reputation as one of the finest metallic paint makers. 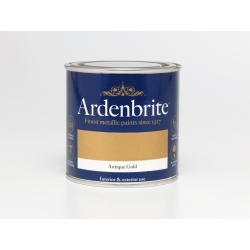 Due to the traditional and grandoise style their colours cover, Ardenbrite metallic paints are perfect for those looking to redecorate, renovate or reinvigorate theatres, churches, museums, civic buildings, hotels, restaurants, and public house. They are also perfect for touch-up work on or revamps of props, artefacts, statues, emblems, lamps, vases, metal furniture and mirrors. For decorators needing a very distinctive finish and elaborate, eye catching decorative effect, Ardenbrite is often the brand of choice. Many users find it to be a highly versatile product, equally suitable for use on metalwork, plaster and paper, as it is wood, plastic, ceramic and previously painted, heavily decorated or cementitious objects. Its fast drying formulation also enables it to be applied quickly with minimum to no disruption, providing a classic looking alternative to the more traditional methods of gold or bronze gilding. Reputationally, the Sovereign Gold No. 8 product is often seen as the primary substitute for gold leaf - as majestic visually as its counterpart, at a small fraction of the price.